Do any of you know of a 0.5 lowering spring kit for a 2015 CLA 250 Sport Package, etc.??? basic lowering springs might do the trick but I don't know if there is one to that exact spec you are asking for, good luck! Nice Wheels! That is pretty much the style and fit I've been looking for. What kind are they? Size and offset? 19" Niche M116 Misano 19x8.5 5x112 +42mm Anthracite Wheel Rim Front and 19"x9.5 +50mm Rear with Michelin Pilot SS 225/35r19 fronts and 255/30r19 rears. As long as you don't try to lower it,....it's PERFECT, in my opinion. Would a 265 not fit on the rear with that setup?? Lease turn in tire question. 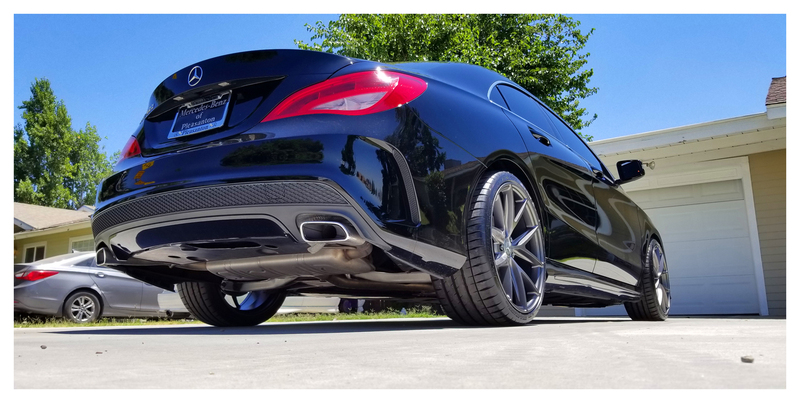 Do I have to have runflats on my CLA250? 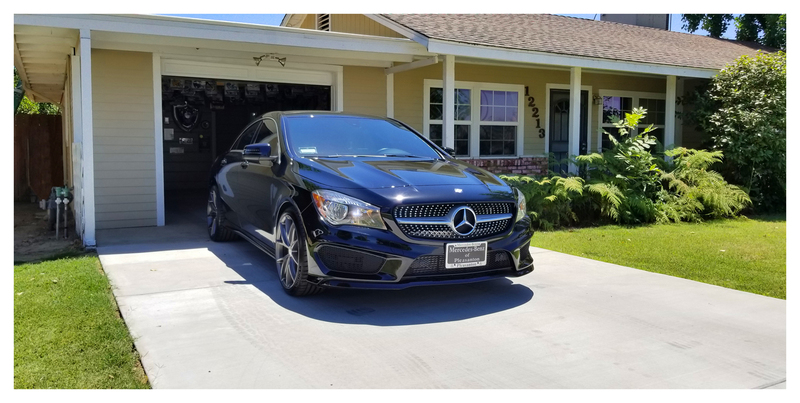 Got my MY16 CLA - Cocoa Brown and have some question? 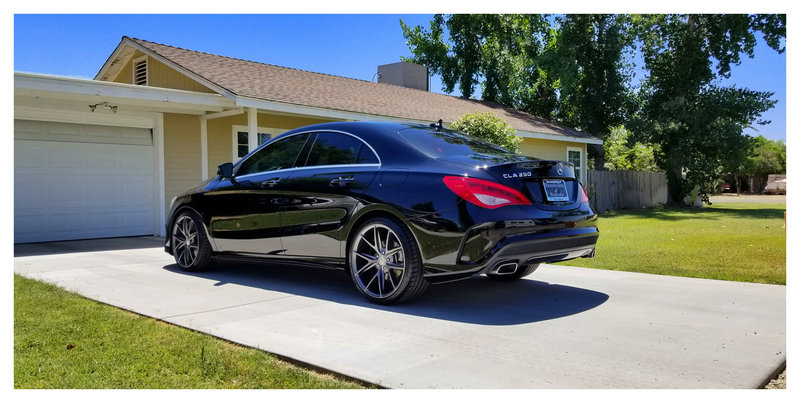 Just got my CLA250. Have question about LED head lamp.